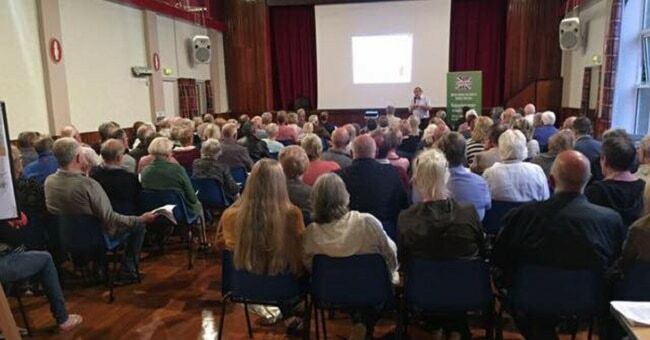 Some 150 residents attended a meeting at Birchington Village Centre on Friday (September 14) to discuss Thanet’s Draft Local Plan and its impact on the village. The draft plan – a blueprint for housing, business and infrastructure on the isle up until 2031 – is currently out for public consultation after being approved in July for the publication and public comment stage. Many residents are concerned at the number of houses proposed for the isle. A vote aimed at retaining aviation at Manston airport-a U-turn on the mixed-use development including 2,500 homes that was recommended in a version of the draft plan voted down in January – means the 2,500 homes have been reallocated to new sites. The reallocation resulted in an extra 600 homes for Birchington, making a total of 1,600. 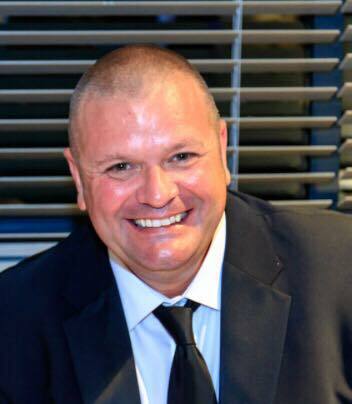 At the meeting, hosted by Birchington Parish Council, chairman Neville Hudson presented a thorough run down of the current draft and gave residents the information they needed to submit objections during the consultation which ends on October 4. BPC member Phil Fellows (pictured) said: “Everyone had their own concerns and we heard some very passionate feelings from residents on how they think their lives and the village will be affected by the impact of the proposed mass development of the greenfields surrounding Birchington. Mr Barar and the neighbourhood plan committee have also drawn up a report on how the local plan could affect the provision of water. Mr Barar said: “The water in East Kent is sourced mainly from aquifers. About 93% of our water is supplied by this method which relies on rainfall percolating through the ground, eventually collecting in the aquifers. The south east is the driest area of the UK with some years having less than 500mm of rain. “The local plan has 18,000 to possibly 21,000 new homes in Thanet. Assuming each dwelling has on average 3 occupants, using the lower figure the population of Thanet will increase by 54,000. At present the population stands at roughly 140,000 and will increase by about 38.5%. Using Southern Water’s own figures each person uses on average 178 litres per day. Multiply this figure by 365 days in the year and then by 54,000 new inhabitants we will require a further 3,508,380,000 litres of water in an area which is already water stressed. “Where will this extra water come from? We have no control over rainfall so what plans are in place? It’s laughable that the very same councillors who put together the current draft local plan and voted it through are now organising meetings to protest about the sites which have been chosen for the housing. People who live in Birchington and Westgate need to be aware that the previous version of the draft plan had none of the houses which are now being planned in their back yard. Conservative and ex-UKIP independent councillors rejected that plan and produced the current plan instead. If you don’t like the plan they came up with why not ask your councillor why they didn’t consult their constituents before making this decision on their behalf. This was organised solely by Birchington Parish Council for our residents. Why are people worrying their silly little heads about where the water will come from to supply all the new houses, its nothing to do with them! The developers won’t build houses if there is no water, or sewage, so just get on and have a go at your Tory Councillors who voted to build houses in your back yard, and not at Manston, Duurh! Did the Government decide to change the law on building on primeach agricultural land for the proposed building in Birchington, or is it that the greedy landowners just don’t care about it anymore so are happy to sell it off and get rid of their responsibility? Where are all the jobs coming from for all the new homes. Another question to ask is will the QEQM Hospital be able to cope with the increased numbers of patients? At a time when the post second world war ‘baby boomers’ are becoming the elderly or geriatric population, and with the disastrous loss of Thanet’s Stroke Unit, this is a mooted point. Our hospital will need not just extra nurses and medical staff but also ancillary staff, as well as the space for extra beds, equipment and operating theatres. It can’t cope with current pressures, being in great need of a large amount of money and staffing levels have fallen drastically in recent years whenow patient levels have increased, putting further stress on the Service and the hard working, mostly overworked and stressed staff. It seems to me that the proposed house building is all about put ’em up quick and cheap and worry about the infrastructure and everything else later. Why are you worrying about where the jobs will come from, its nothing to do with you! People won’t be able to buy these houses unless they have cash, but most will need a mortgage, in which case they will need a job. The developers will sell only to people who can buy, its called capitalism, again Duuurh!